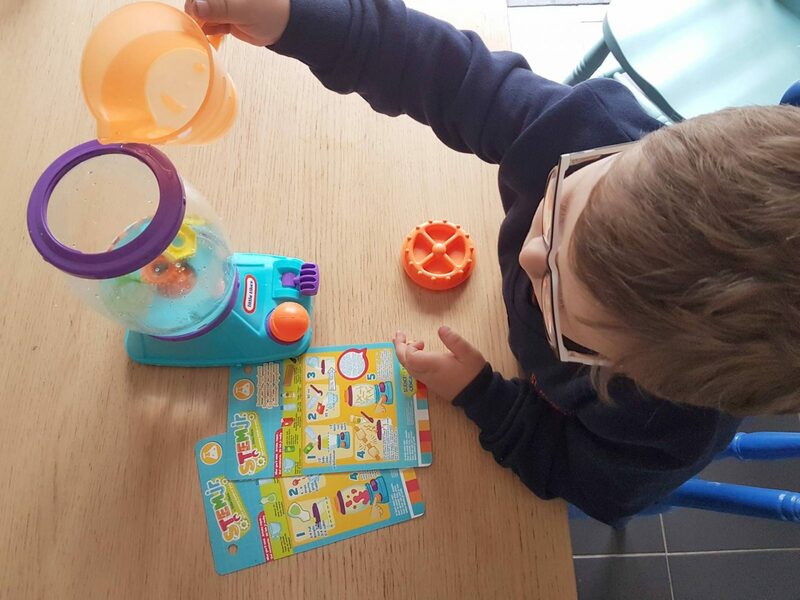 Little Tikes have recently launched a great new range of STEM toys which are designed to turn education into playtime and encourage an interest in subjects like science, technology, engineering and maths. There are three toys in the new range and the little man was sent a couple of them to try out. 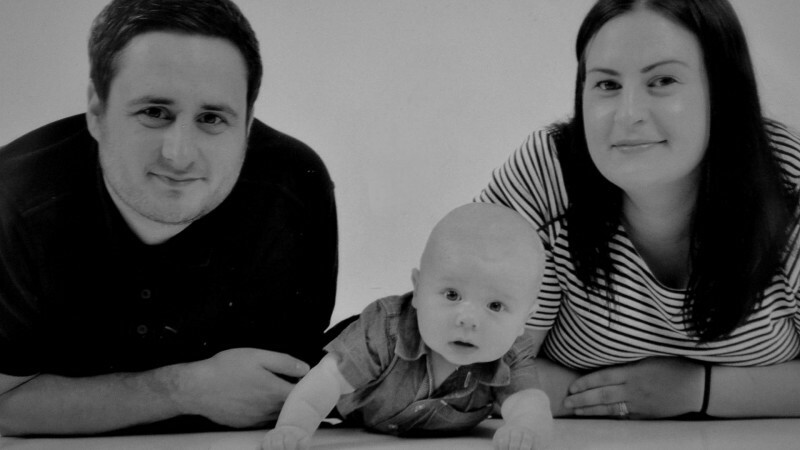 The first we tried out was the Tornado Tower which retails at £29.99 and is aimed at children 3 years and up. The Tornado Tower is a brightly coloured plastic machine that is robust and sturdy. It requires AA batteries which don’t come with it, so make sure you purchase extra. 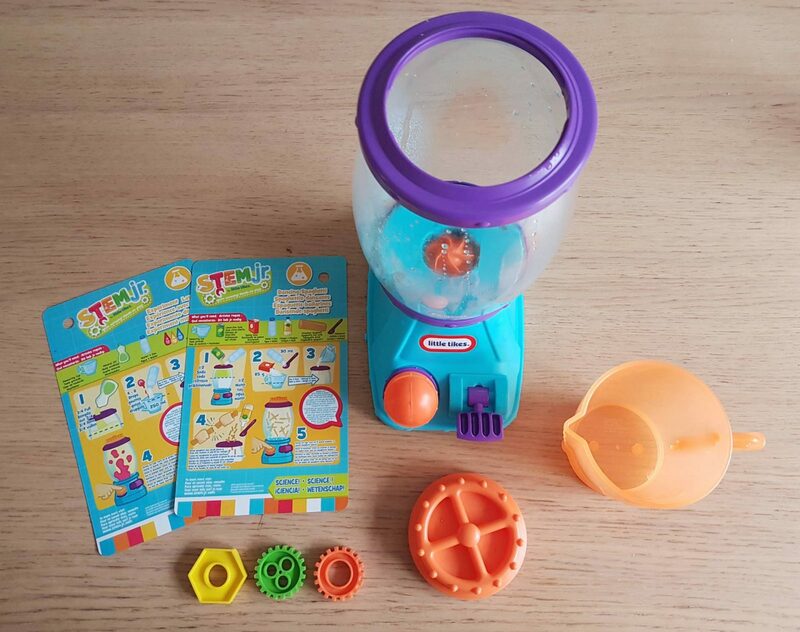 As well as the Tornado machine itself, within the box is a measuring cup, three cog accessories and two experiment cards. 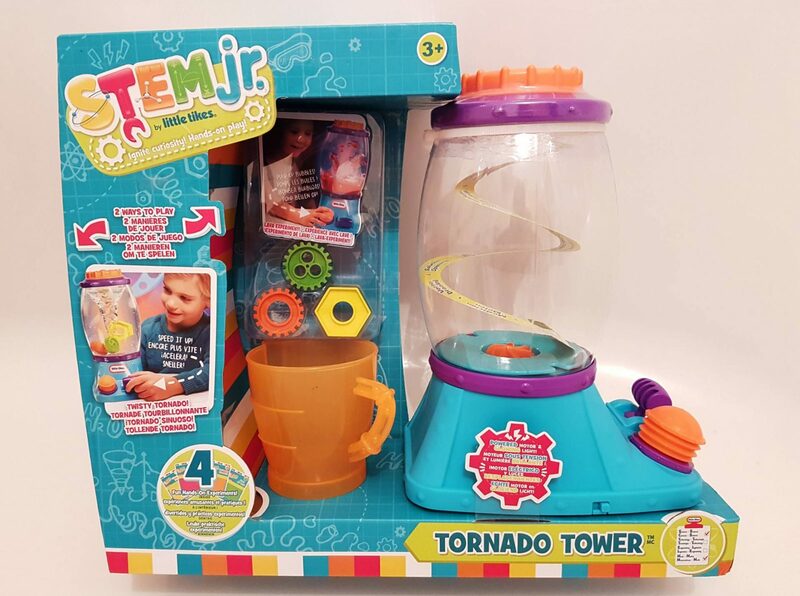 The Tornado machine is a 2 in 1 toy – a tornado and a lava lamp with easy to follow experiment cards. 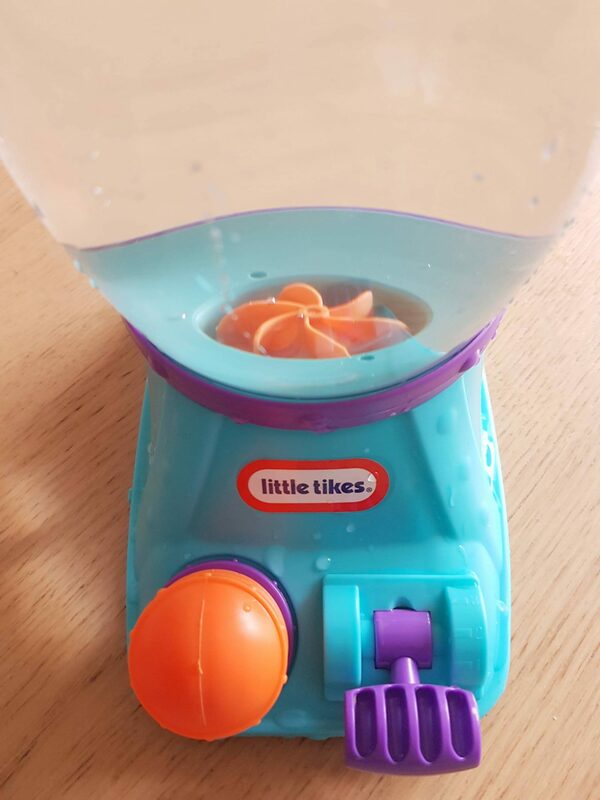 Little people can fill the plastic container of the with water and and then pressing the joy stick on the front of the machine to create a tornado effect. 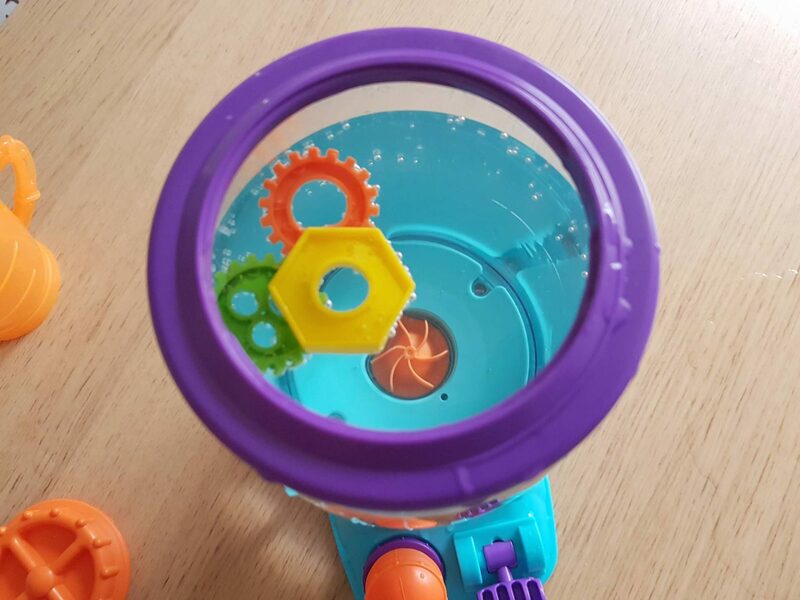 The cogs can can be added to the water or adding a few drops of food colouring to the water can make it really interesting for children. The little man is fascinated by the spinning water and it’s been a great way to discuss centripetal force and the density of water. 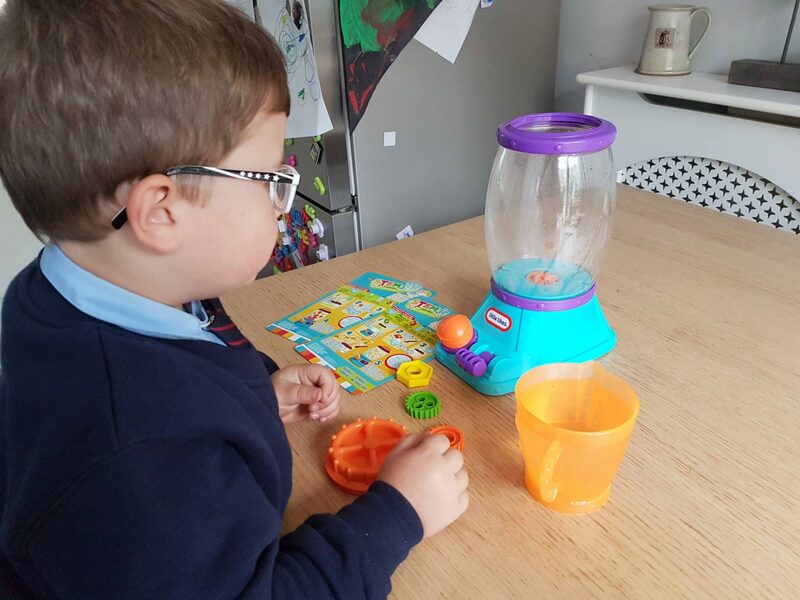 The little man has also enjoyed creating a clever lava lamp effect by pressing the pump button on the control panel to expel bubbles into the container. 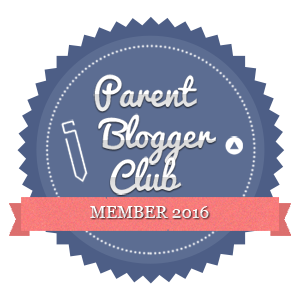 One you’ve completed the experiment cards, you can conduct your own experiments. The little man loves to add various small objects to the tornado effect and watch how well they spin. 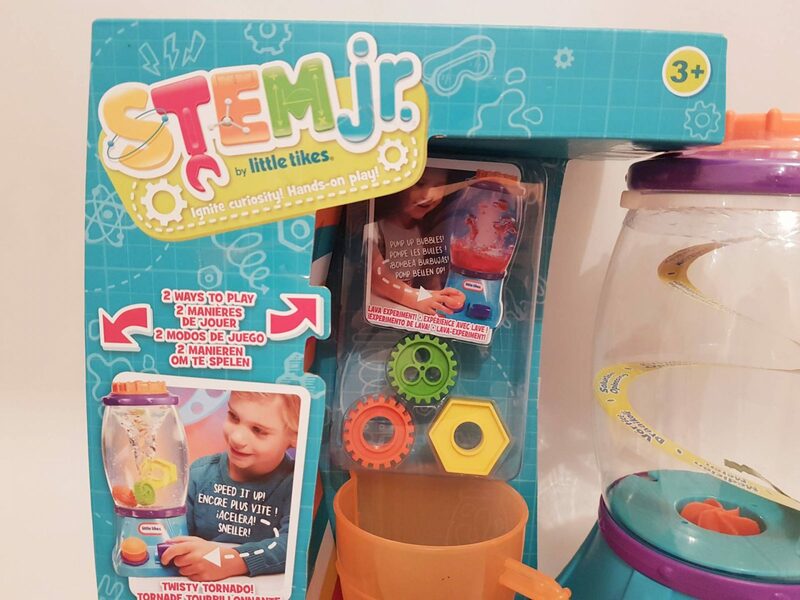 I do think there a limitations for the machine though and I would like to see other experiment inspiration, perhaps something that could be downloaded from the Little Tikes website or a discussion forum for users. That said, the little man has asked to play with it regularly and doesn’t need a great deal of assistance to set it up and fill it. 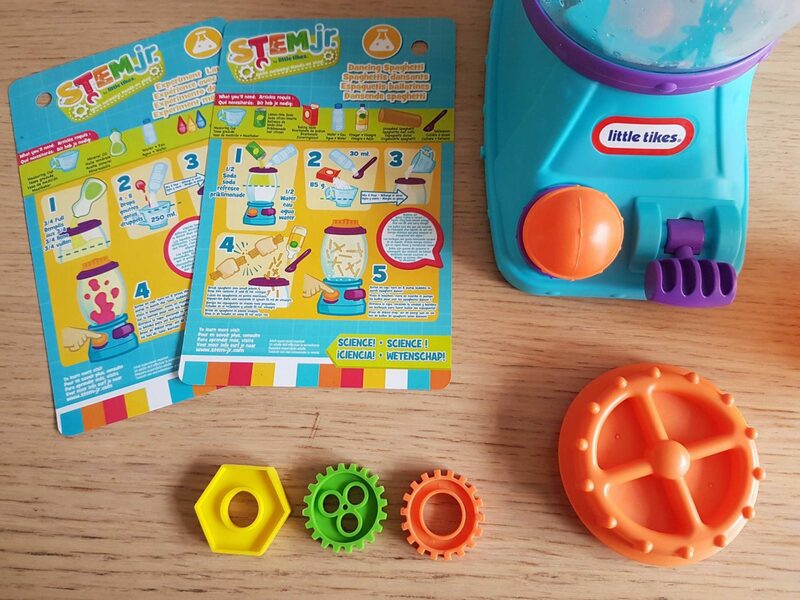 The new STEM range is a great way to encourage younger children and pre schoolers to learn more about how and why things work.